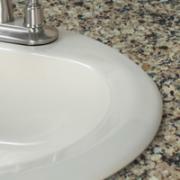 Quartz countertops allow you to choose from all three sink mounting options, and a variety of sink materials. 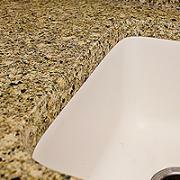 Look here to see some options, and remember that we can always install whatever sink you choose in your tops. 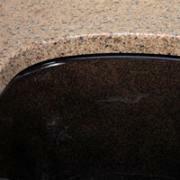 This sink option features a smooth transition between sink and countertop. There is no lip or area for mold to grow or water to penetrate. This is the most popular option in quartz.